Harare (AFP) - Zimbabwe on Friday called for the extradition of Walter Palmer, as AFP learnt that the Minnesota dentist and trophy hunter had posed for a photograph next to the body of Cecil the lion. Palmer paid $55,000 for the hunt earlier this month in which he shot the lion with a powerful bow and arrow outside Hwange national park in western Zimbabwe. Cecil, who had a distinctive black mane, was a popular tourist draw at the park and was wearing a tracking collar as part of an Oxford University research project. As worldwide outrage over the shooting swelled, French actress and animal activist Brigitte Bardot described Palmer as a "serial killer" who deserved "exemplary punishment". Palmer, who is being investigated by the US government over Cecil's death, has apologised and said he was misled by professional guide Theo Bronkhorst. "We are appealing to the responsible authorities for (Palmer's) extradition to Zimbabwe so that he can be made accountable for his illegal actions," environment minister Oppah Muchinguri told reporters in Harare. Bronkhorst, who organised the expedition, was granted bail by the Hwange court Wednesday after being charged with "failing to prevent an illegal hunt". "We shot an old male lion that I believed was past his breeding age," Bronkhorst said in a telephone interview with AFP. "I don't think that I've done anything wrong." 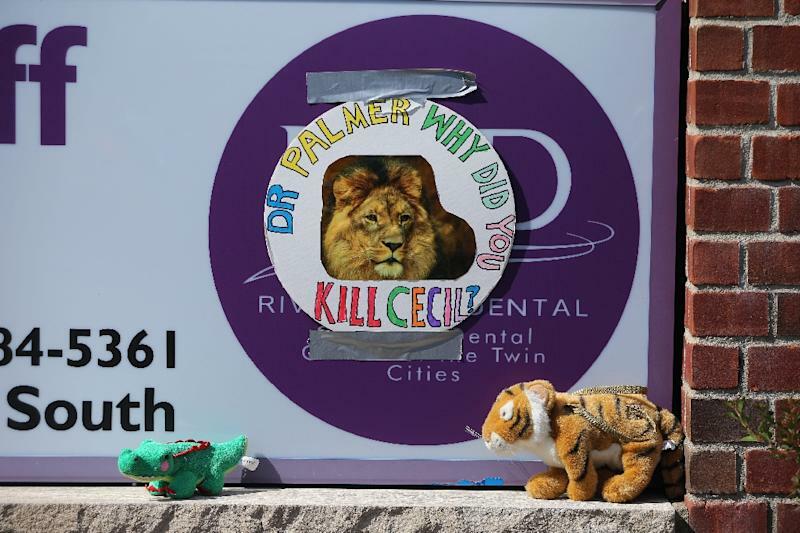 He revealed Palmer had a photograph taken with Cecil's dead body -- as is customary for trophy hunters. "That was taken with the client's camera, so I don't have access to it," Bronkhorst said. "Both I and the client were extremely devastated that this thing had a collar on because at no time did we see a collar on this lion prior to shooting it." "We had obtained the permit for bow hunting, we had obtained the permit for the lion from the council," said Bronkhorst, who is to stand trial on August 5. "We had done everything above board," he said. "I don't foresee any jail sentence at all, I think it's been blown out of proportion by social media and I think it's been a deliberate ploy to ban all hunting. "It has probably changed my family's life, my business, forever... We have had many, many death threats." Muchinguri put a political spin on Cecil's death. "Palmer, being an American citizen, had a well-orchestrated agenda which would tarnish the image of Zimbabwe and further strain the relations between Zimbabwe and the United States," she alleged. Washington slapped travel bans and asset freezes on long-ruling President Robert Mugabe and others after 2002 elections which western observers determined were rigged. An extradition treaty exists between the countries, but State Department deputy spokesman Mark Toner said he knew of no American extradited to Zimbabwe. The State Department does not comment on individual extradition requests, but Toner noted such a request would be presented to a US court to determine its viability. Following such proceedings, "it's the Secretary of State who makes the final decision on whether to extradite an individual", he said. "Obviously humanitarian concerns and the ability of an individual to receive a fair trial may be considered at that stage of the process." About 50,000 visitors -- half of them foreign -- visit the Hwange park annually, and Cecil was a much-photographed star attraction. 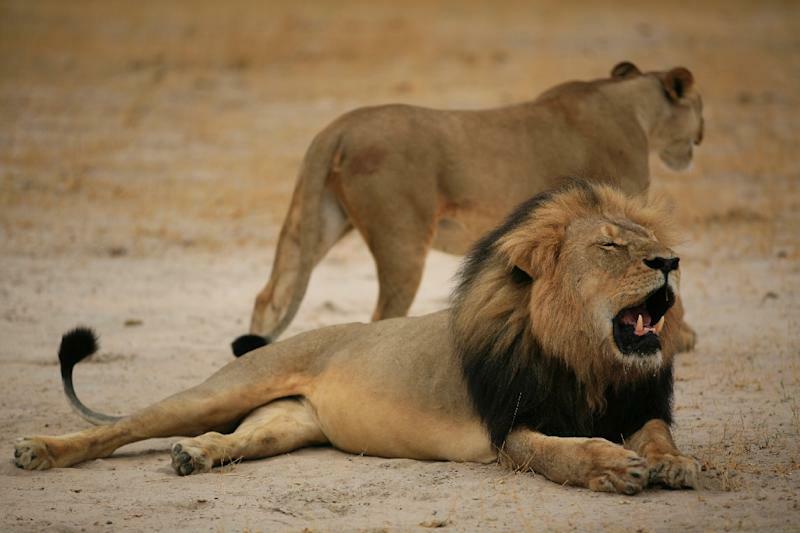 Zimbabwe officials said Friday that Cecil's head and pelt had been confiscated. 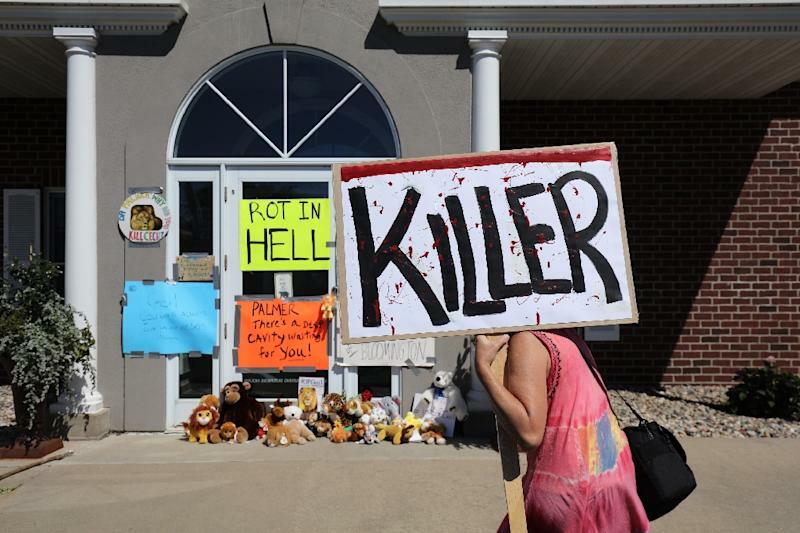 Palmer's dental practice in Minnesota has been the scene of protests, with crowds leaving stuffed toys of lions, tigers and monkeys outside the building. American authorities said the US Fish and Wildlife Service was investigating the circumstances surrounding Cecil's killing. Edward Grace, deputy chief of law enforcement at the agency, said efforts to contact Palmer had so far been unsuccessful. Meanwhile, US Senator Robert Menendez introduced the CECIL Animal Trophies Act in a bid to curb such trophy hunting by restricting the import of animals "proposed" to be listed under the 1973 Endangered Species Act, not just those already on the list. "Let's not be cowardly lions when it comes to trophy killings," Menendez said.